Davistown is a low lying coastal village on the Central Coast. Image: wikicommons. Coastal Residents Incorporated is hosting a public information session at Davistown RSL on Saturday, November 24, about the NSW Government’s Coastal Management Act. “The purpose of the meeting is to update the Davistown and Empire Bay communities, together with other adjacent communities and local representatives, of the issues now emerging as the NSW State Government’s new Coastal Management Act is implemented by coastal councils of NSW,” said Coastal Residents Inc. Central Coast Secretary, Pat Aiken. “Just over eight years ago, there were similar issues that resulted in major increases in home insurance, anecdotal evidence of property devaluation, and an increased focus on containing any form of development that was seen as intensifying existing development,” Aiken said. 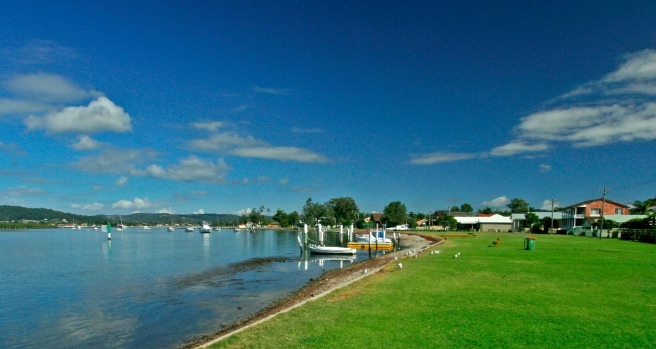 “There were also suggestions by environmental groups and in draft Gosford Council planning documents, that low-lying foreshore suburbs around Brisbane Water were at great risk of future coastal hazards, and that there should be a systematic process of preventing any further development at all in these suburbs, including extensions to existing dwellings or the knock down and rebuild of existing homes. “This concept is generally referred to as ‘planned retreat’, and once again it is threatening the foreshore suburbs of Brisbane Water. “This is evidenced by the Central Coast Council’s Draft Climate Change Policy, currently on public exhibition, that raises “retreat” as a management option for Council to address the threat of future coastal hazards (sea level rise). “Despite communities around Brisbane Water winning a battle around this concept in 2012, new State legislation has once again brought these issues to the fore. “Coastal Residents Incorporated, a local action group, with the support of the Davistown Progress Association, plans to offer a broad based information session to identify the rights of landholders under coastal management planning and to briefly review past and current issues, while identifying common sense solutions to these threats that do not require the implementation of “planned retreat”. The information session will commence at 10am and will include provision for an open Q&A Forum following presentations.